"I thought Senior Parties were an all-across-America thing, but I was wrong. So I figured they must be a Southern thing, until I was met with quizzical looks from other Belles when I ask them to co-host. You want me to co-host a what-now? Then I thought it was a Texan thing, but that's not quite right either. Apparently, Senior Parties are very much a regional East Texan thing with perhaps smatterings of instances further afield (perhaps the result of a displaced East Texan?)" 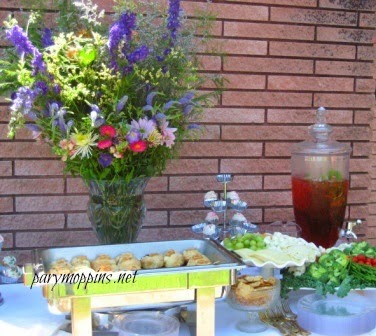 Come find out more over at Texas Women Bloggers where I'm writing today about hosting Senior Parties. Do you know what a Senior Party is? Did you have a Senior Party? My "party" for my senior year of high school consisted of going to a restaurant with my friends and family for dinner. I know I had friends in high school who had parties but I think for the most part we went out to eat instead of hosting anything at home. Nope not that I recall but I graduated in Seattle...far from Texas! My girls were mostly home schooled and we moved to Texas about the time of graduation so they both choose travel...like Paris (there were no complaints). I should think there weren't any complaints about Paris! :) Lucky girls. Senior parties are typical in Hawaii. I actually thought it was the same everywhere. But it is easier to have parties for every imaginable occasion when you are on an island with all of your family and close friends within an hour's drive.